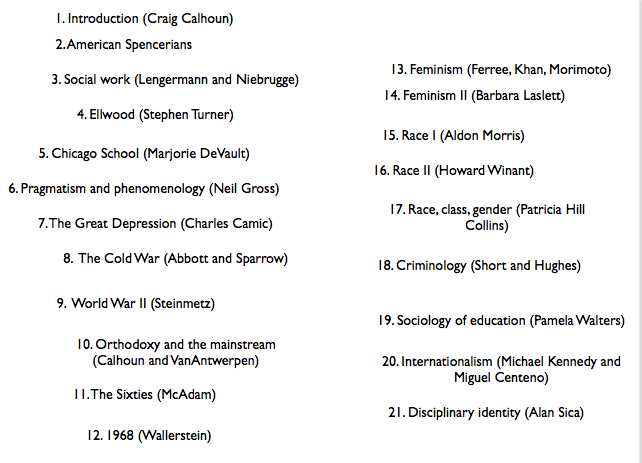 Sociology is a discipline with a short history and a very dense and complex tree of topics and methods. So writing its history — even limited to the past century and a half — is extremely challenging. And the idea that the discipline has worked itself out as the methodical development of ideas advanced by the “founders” — e.g. Marx, Durkheim, Tarde, Weber, and Simmel — is really a non-starter. Each of these thinkers brought important ideas into the mix; but sociology is more than simply an elaboration of their nineteenth-century and early twentieth-century ideas. Rather, sociologists have taken a meandering path as they have reacted to new social problems, innovations in theory and method, and shifting priorities in universities and funding sources. An earlier post discussed one effort to write a coherent history of one strand of sociology —Frederic Vandenberghe’s critical history of modern European sociology (link). The strength of this kind of sole-author approach is also its weakness. A talented thinker like Vandenberghe can provide a degree of synthetic organization to the history to give the reader an integrated understanding of the main development of the discipline. But this very synthetic strength is also a drawback, in that it depends crucially on the sensibilities of the author. So, for example, Vandenberghe’s inclination towards the critical dimensions of the German tradition makes him less likely to highlight possible influences of Durkheim in Germany. The best of sociology is in its past. The history of sociology is a continuous reproach to the sociology of the present. The past is an embarrassment precisely because it is better: its thinkers are more serious and profound, its concerns deeper, and it is far more worthwhile to study. The formal discipline that was created with such effort over the last century has been a fiasco. The people who have responsibility for its present form have good reason to be afraid of its historians. But they resent the conservators of the past when they should examine their own failings. There is some overlap between the two lists, but they are not homologous. There are topics in each list that do not appear in the other. The new sociology of ideas appears in Blau’s list but not Appelrouth and Edles’; and phenomenology and ethnomethodology does not appear on Blau’s list. Globalization, inequalities, and relationships and ethnomethodology appear on both lists. The editorial choices by each set of editors are manifest. Each author or set of authors brings his/her own sensibilities to the topic in question, and there is little opportunity for a synthetic overview of the field as a whole. But the overall impression gained by the careful reader of the whole volume is a powerful one — analogous to a serious visit to a rich and diverse art museum, where the visitor gets an exposure to multiple styles, subjects, and media, and comes away with his or her own impressions of the art field represented there. Neil Gross’s article on pragmatism and phenomenology is an excellent case in point. Gross is himself a leading practitioner of a pragmatist approach to sociology. His essay is a thoughtful and illuminating examination of the conceptual and substantive ways in which the philosophy of pragmatism aligned with the needs of an emerging sociology. He argues that there has been a major and often productive interaction between philosophy and sociology. He does a good job of explaining the aspects of the thinking of James, Dewey, Mead, and Peirce that proved insightful for the formulation of sociological concepts and research goals. The essay does more than establish the lines of influence that existed from the point of view of the history of ideas; it demonstrates the fecundity of the pragmatist approach for the study of human society. “Pragmatism postulates the existence of an inherently social self” (192). “The pragmatists held that how people respond to situations is closely bound up with the meanings they interpret them to have” (193). 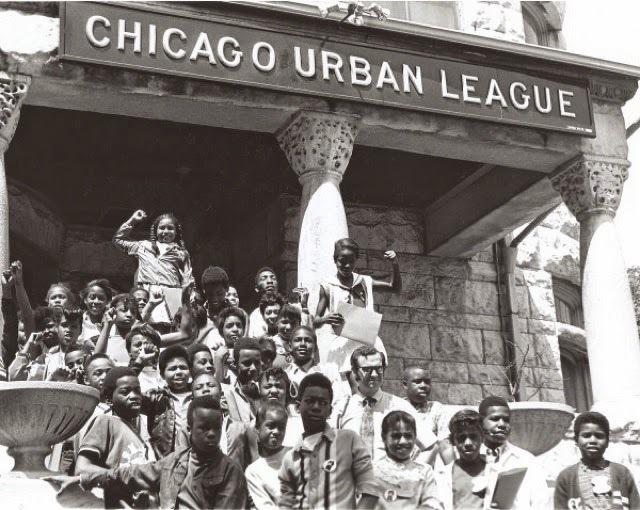 “Chicago sociology may have been shaped by pragmatism’s vision of human action more generally … as an adaptive response to problematic situations” (196). This is a very interesting and detailed history of the development of pragmatist sociology within the Chicago School. (He also offers a fine analysis of the development of analytic philosophy in the United States, and makes a fascinating connection to McCarthyism as an account of why philosophy turned away from political philosophy; 203ff.) And his treatment of the influence of phenomenology in sociology is equally interesting. “Like Schutz, Garfinkel recognized that cognition of the social world is fundamentally an interpretive endeavor and that this interpretation rests on a bed of pre-theoretical assumptions and understandings” (218). It is possible to map most of the discussions in the Calhoun volume onto the taxonomies offered by Blau and Appelrouth and Edles. But the overall impression of Calhoun’s collection is much stronger than the handbooks. The originality of the authors who composed the chapters comes through, and each essay stands by itself. Virtually every chapter is a valuable contribution itself to the discipline of sociology, rather than a survey of the developments in the discipline during a particular period of time. At the same time the chapters constitute an eloquent mosaic of many of the important imperatives, themes, and dimensions of American sociology since mid-nineteenth century. The topic of how to approach the history of sociology is an important one. In an intriguing sense we don’t yet know what sociology is. It will continue to shape-shift as researchers and theorists find new problems and old paradigms engaging. And thinking hard about the history of the many fields of sociology stimulates valuable new thinking about how we may innovate in the future.